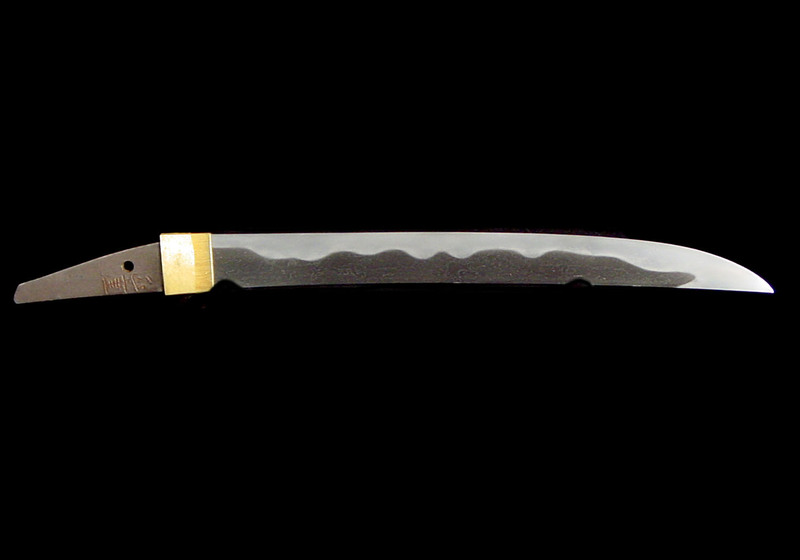 I am very pleased to present this fine tantô by the Sengo smith, Masashige. Masashige was the leading student of the second generation Muramasa of Ise. 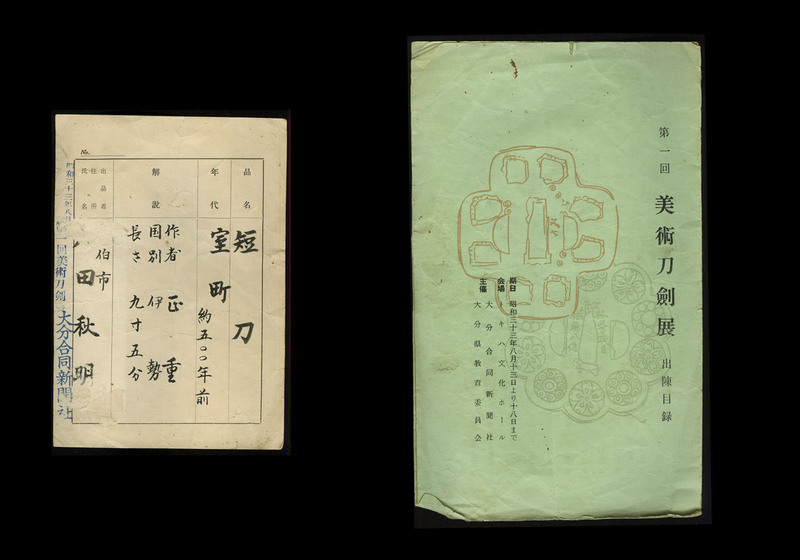 He worked in the late Muromachi era around the Taiei era (1521-1527). He is rated as a Jô-jô saku smith. 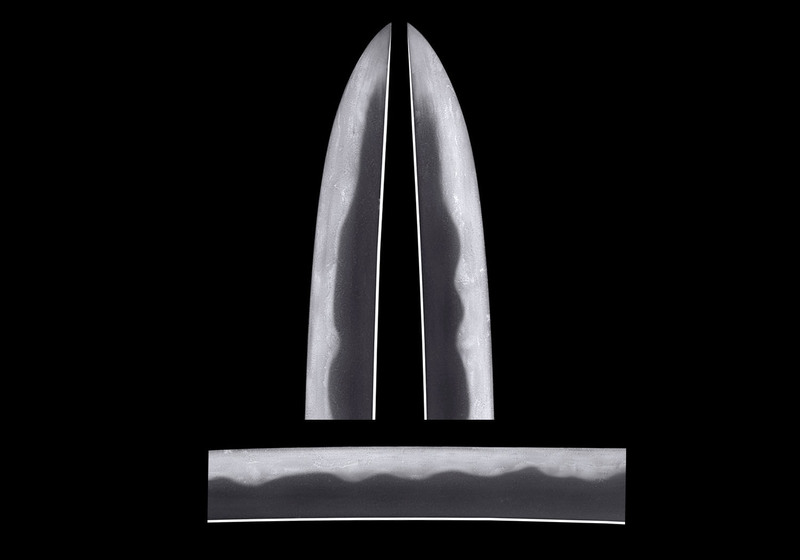 This blade is a fine example of his work and closely resembles that of his master, Muramasa. 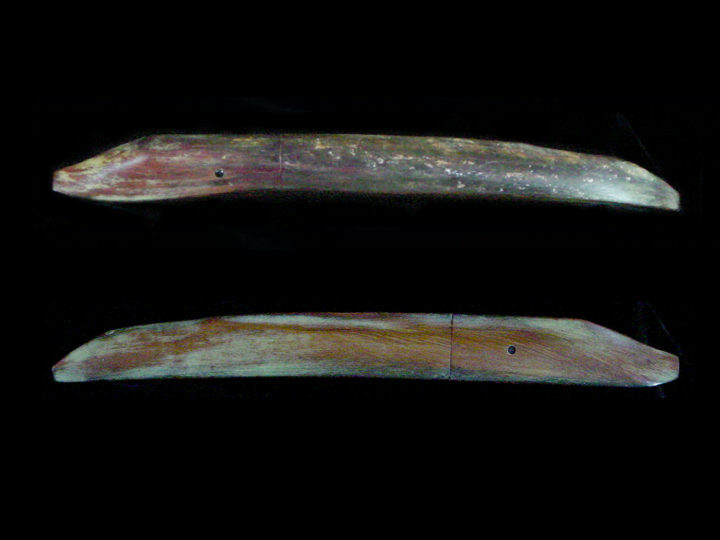 It has a nagasa of 28.72 cm or 11.30 inches. 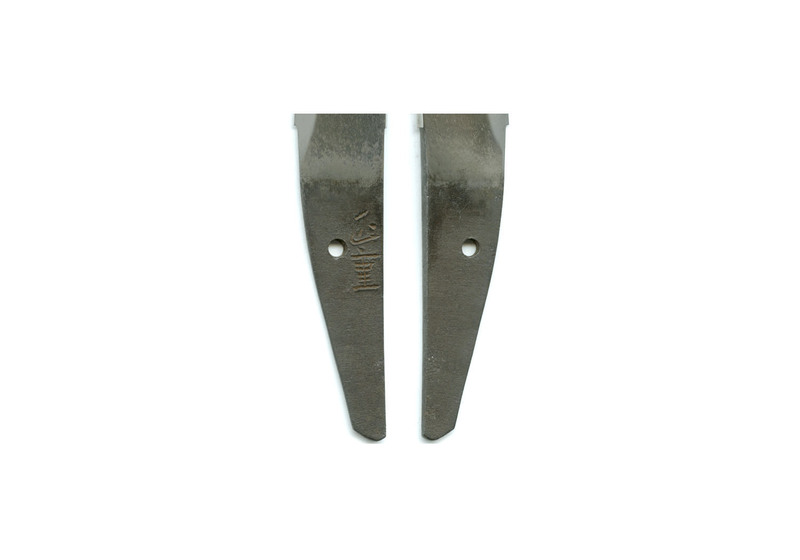 The width at the hamachi is 2.88 cm or 1.13 inches. 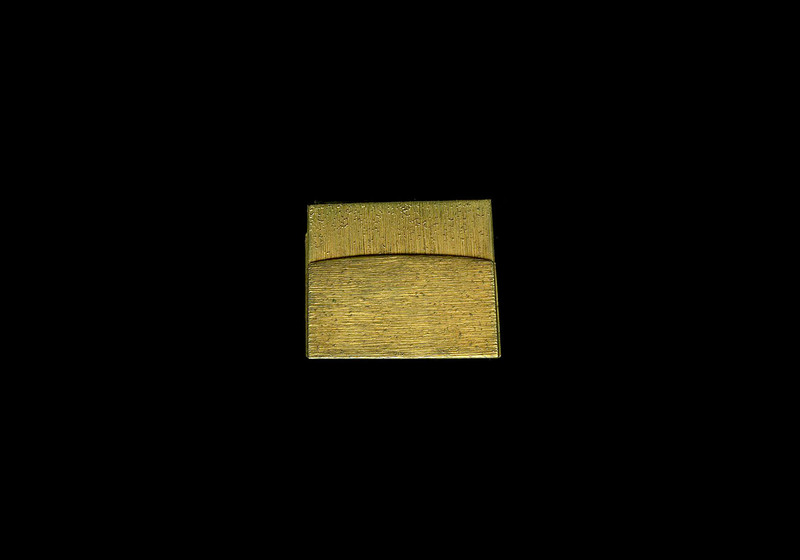 The sori is 3.03 cm or 1.19 inches. 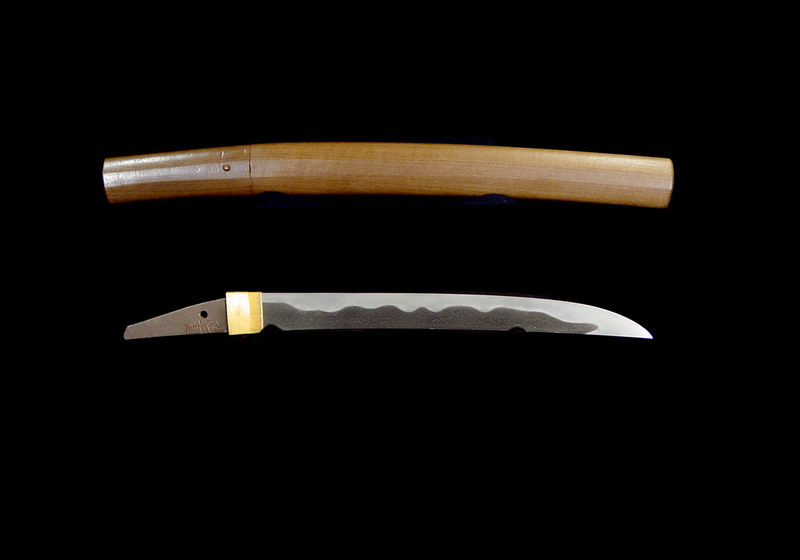 This is a wide and thick blade with a moderate saki sori. 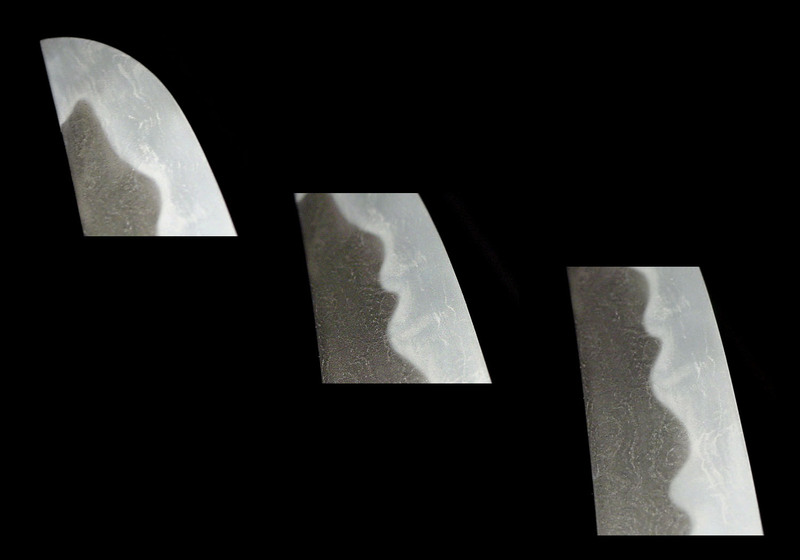 The shape of the nakago is called tanago-bara meaning it is shaped like the belly of a fish. The jitetsu is itame hada that stands out beautifully and has a lot of ji-nie attached. Abundant chikei can be found especially in the boshi area. 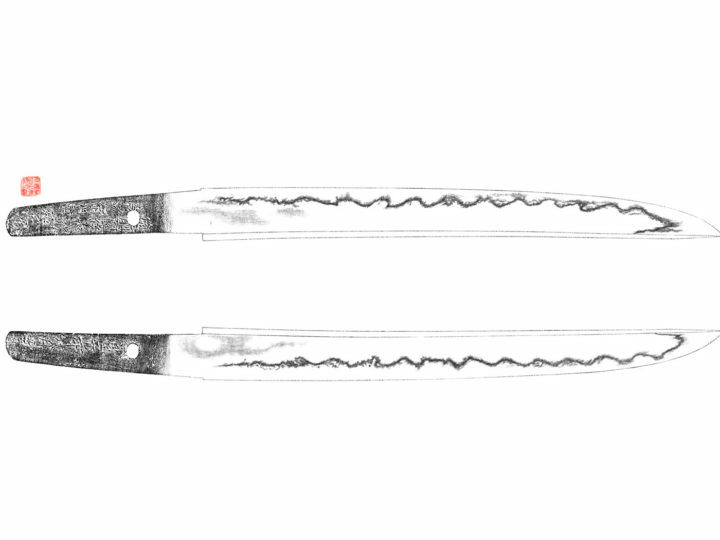 The hamon is nie-deki gunome midare with the shape of the hamon being the same on the obverse and reverse. Sunagashi and kinsuji will be found. The boshi is hakikake in style. 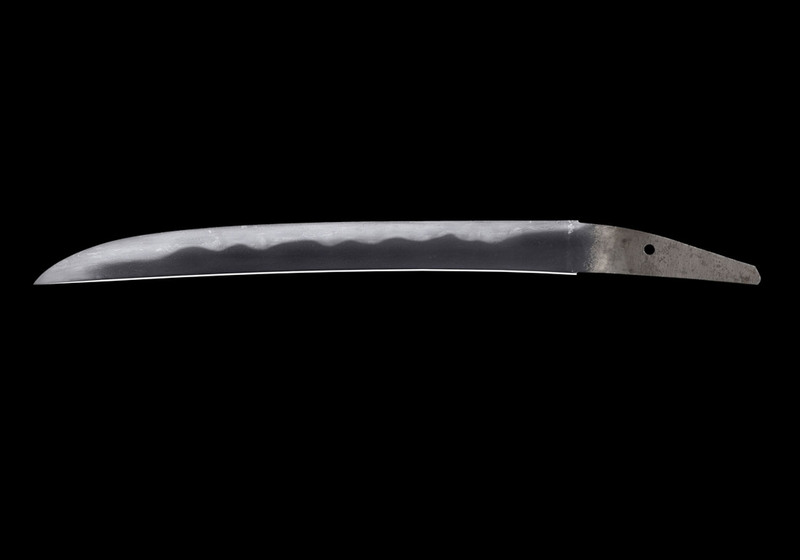 This blade has a rich and respected history. 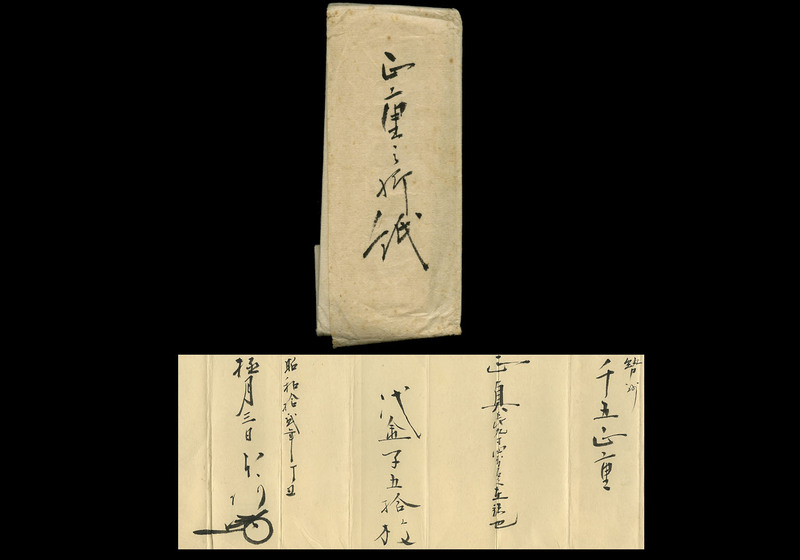 Accompanying it is an origami written in Showa 12 (1937) by Honami Koson who valued this blade at five large gold coins. 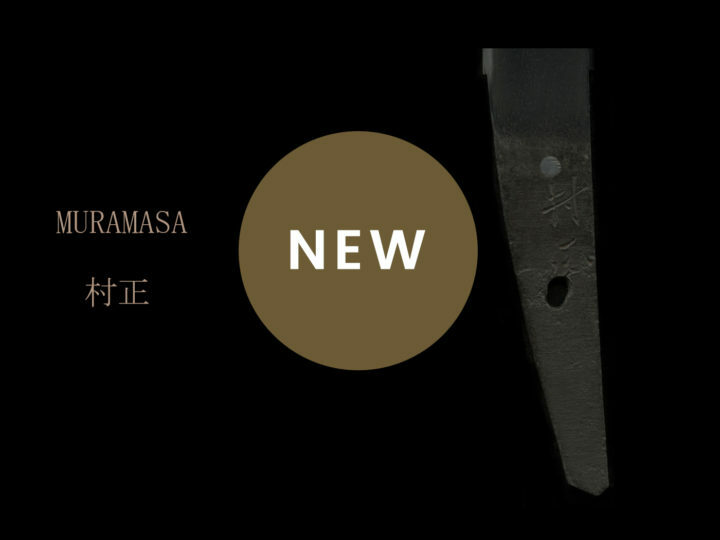 Also, this blade was exhibited in 1958 as part of an exhibition sponsored by the O-ita Associate Newspaper. 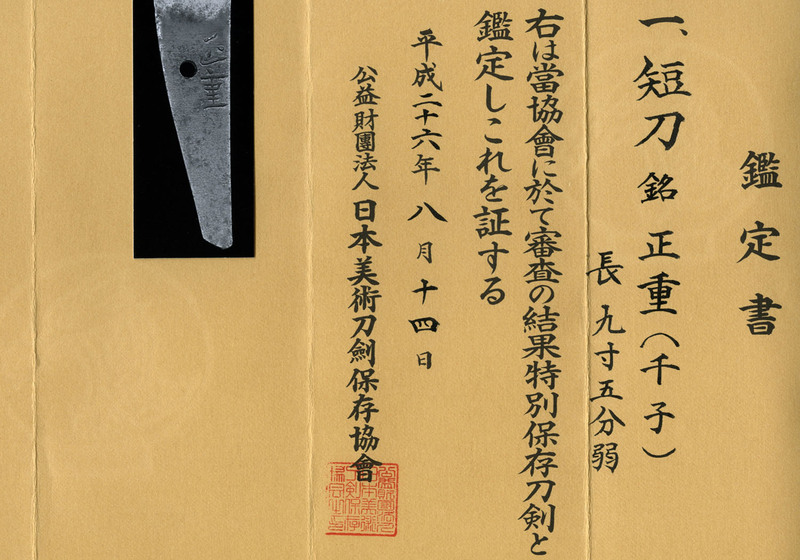 Today it also comes with NBTHK Tokubetsu Hozon papers which further attest to its quality and importance. 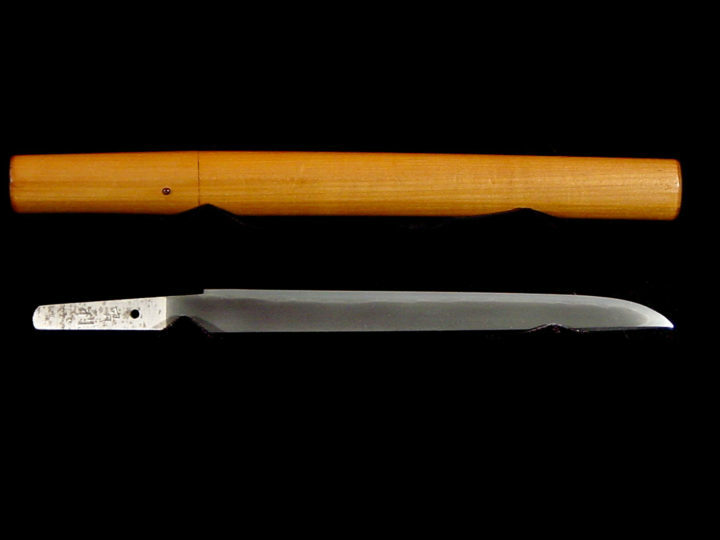 In my opinion, this blade is an excellent candidate for Jûyô Tôken. 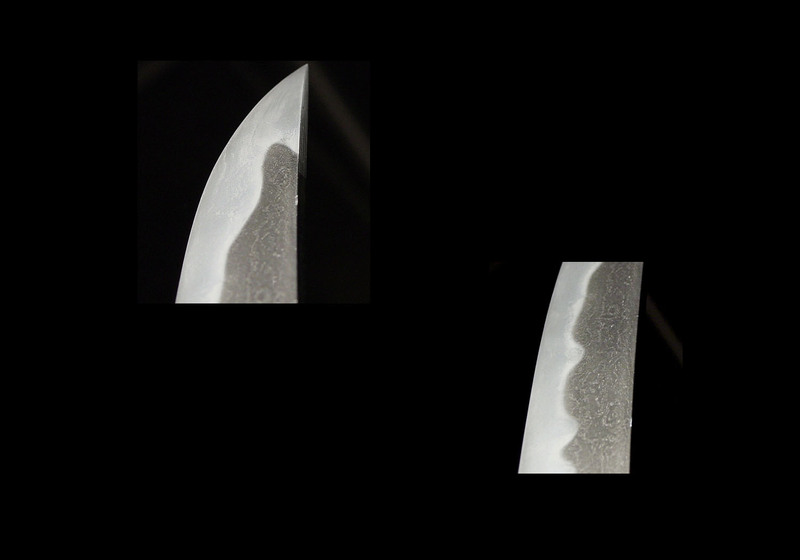 Eleven other blades by this smith have achieved Jûyô status. It is in fresh polish and is without flaws or problems of any kind. 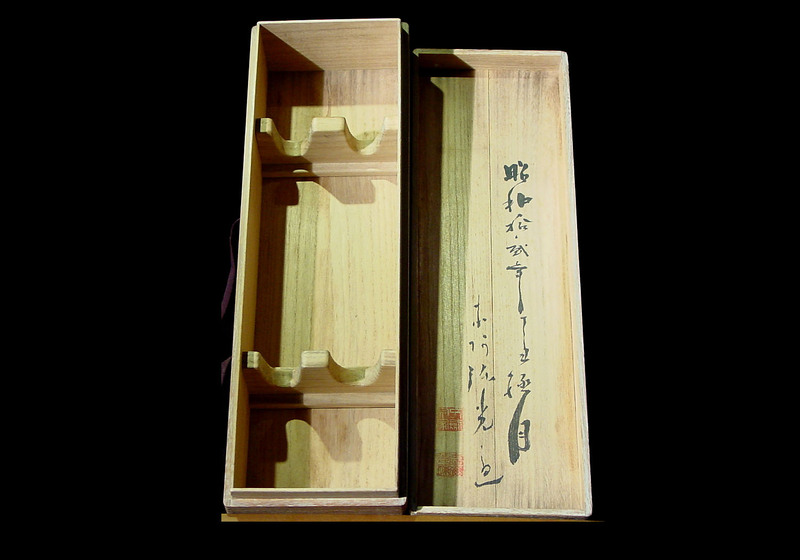 It comes in a custom made wooden box with a Hakogaki (sumi inscription) by Honami Koson also dated Showa 12 (1937).